TransIP offers two different Plesk editions: Web Host & Web Pro. You are free to switch between these editions by upgrading or downgrading your Plesk installation. If you upgrade or downgrade your Plesk, some additional steps are required in Plesk to process the change. In this article we will show the steps in your control panel and Plesk, that are necessary when upgrading / downgrading Plesk. Log in to your TransIP control panel and navigate to your VPS page. Click on the name of your VPS. Depending on which Plesk edition you are currently using, you will either see a downgrade or an upgrade option under the name of your VPS. Click on 'Downgrade / Upgrade Plesk'. You will see a page as shown in the screenshot below (in case of an upgrade, Plesk Web Pro Edition will be grey, and the arrows will point to the Plesk Web Host Edition). Click on 'Confirm' to immediately upgrade or downgrade your Plesk edition. You will then receive the confirmation below showing that your downgrade / upgrade has been processed. Every 30 days Plesk automatically checks whether the edition of Plesk on your VPS still matches your license. Plesk automatically adjusts your edition if it is determined during the check that you are using a different Plesk edition than your license supports. In the case of a downgrade this 30-day period is not a problem, but in case of an upgrade you will undoubtedly like to use the new features that come with the new Plesk edition. Fortunately, Plesk offers an option to immediately check your license and automatically adjust your edition without needing a restart of your VPS. 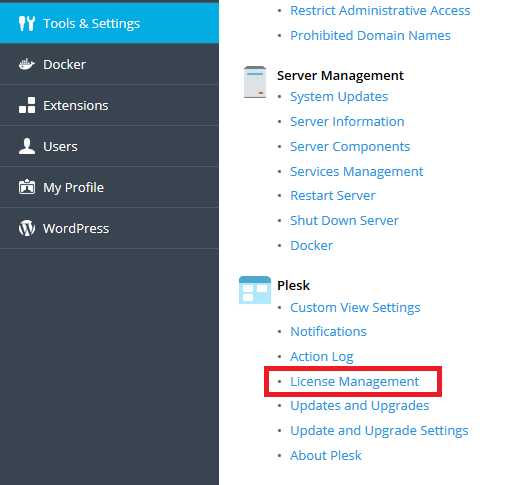 Log in to Plesk as root / administrator and click on Tools & Settings > License Management (the position of this button differs per Plesk version, but is always under Tools & Settings). Click on 'Retrieve Keys' to have Plesk check your license. 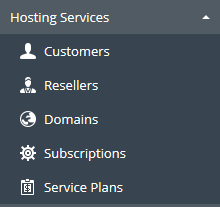 Your Plesk edition is then immediately adjusted and if you upgrade you will see the 'Resellers' option under 'Service Provider view'.